Lionel Messi has urged Barcelona goalkeeper Jasper Cillessen to remain at the Nou Camp, despite interest shown by English club Liverpool. According to Don Balon (via the Daily Star) Barcelona paid £13m in 2016 when they bought him from Ajax, but the 29-year-old has only featured in one La Liga game, back in October 2016, and has mostly covered for first-choice goalkeeper Marc-Andre ter Stegen. The Dutchman was, however, a key figure for ​Barcelona in this year's Copa del Rey, which they won on Saturday evening by beating Sevilla 5-0 in the final. ​Liverpool on the other hand could do with strengthening their goalkeeper options. Although Loris Karius has had a good run of form in recent times, question marks still remain over his and Simon Mignolet's charismatic abilities to be long-term solutions in-goal for Jurgen Klopp's side. Too many common errors have seen Liverpool concede a large number of unnecessary goals in the past two seasons. Cillessen seems to also be on the radar of ​Napoli and ​Atletico Madrid but a move to Anfield could mean more game-time than at Barcelona, with Liverpool all but securing their place in the Champions League for next season. 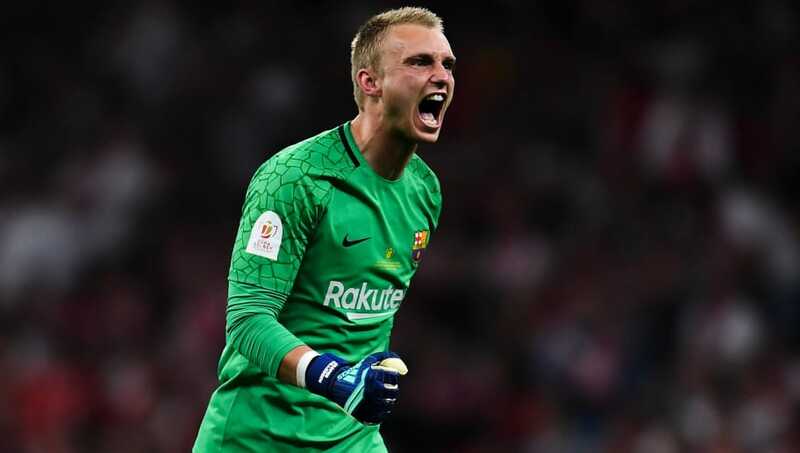 19 Appearances in total after two seasons might be a good enough reason for Cillessen to pack his bags, and with Ter Stegen signing a five year contract extension last year, regular game-time in ​La Liga could be few and far between.